Creighton Dance Marathon is a Success! 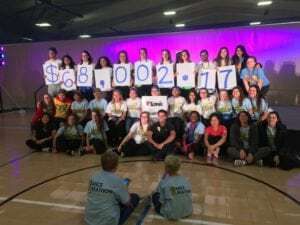 Congratulations to Creighton Dance Marathon participants and supporters. The 2017 event, sponsored by Love’s Travel Stops & Country Stores, raised $68,000 for Children’s Hospital & Medical Center, a Children’s Miracle Network Hospital. Previous post: Halloween with Spirit of Children Provides Fun and Funds!